This native tree (at least to the Eastern U.S.) looks like it's having a bad hair day; hence, its name. Commonly known as Shagbark Hickory(Carya ovata), this funky-looking hardwood tree produces edible nuts and some folks even make syrup from it. While it’s not a rarity to spot one, it is only the mature trees that display this shaggy appearance. Why is it important to spot different trees? You can tell something about the area: its soil, topography, its microclimate. Knowing your trees gives you a better understanding of your overall site. While you may not have any shaggy barkers hanging around in your neighborhood, it’s just fun to know what’s what in the tree world. A little trick for remembering anything is to associate a trait with its name. 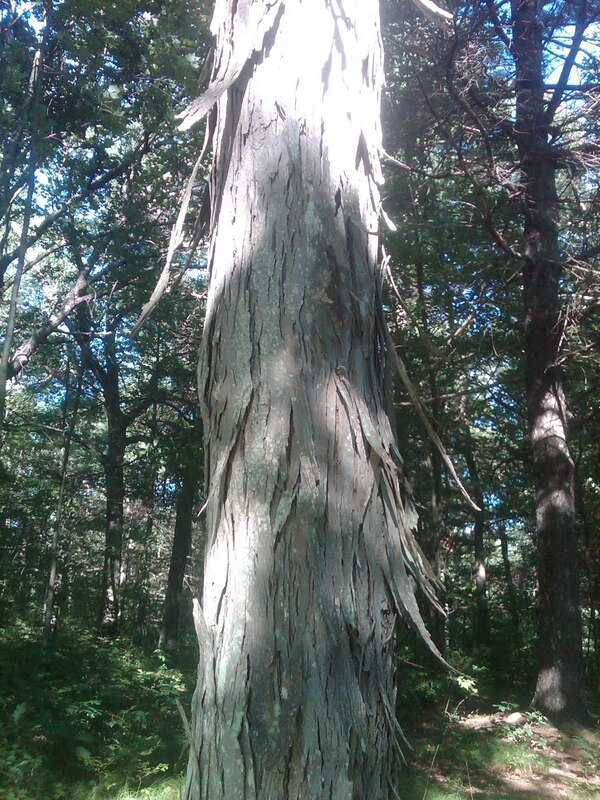 Therefore, we end the post with a James Brown quote, the “Godfather of Soul.” “Sometimes you like to let the hair do the talking.” So the next time you see a Shagbark Hickory, just think of James Brown and “I Feel Good.” And just let the bark do the talking.